Back on the market! Buyer's loan fell through! 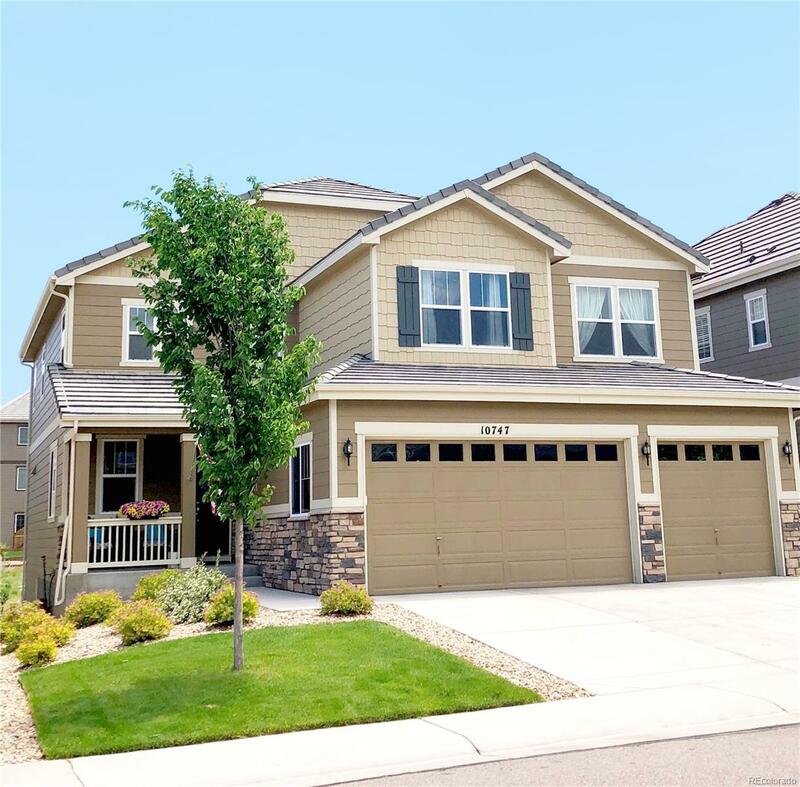 Magnificent 2-story home with open floorplan and lots of natural light. Backs to open space. Main level has beautiful hardwood floors throughout and features a living room, a half bath, bedroom/study, formal dining room, and a spacious family room with gas log fireplace that opens out to a lovely covered deck. The airy kitchen has beautiful dark cabinetry, quartz countertops, stainless steel appliances, and a large island with eating space and extra storage. There are 4 additional bedrooms and three full baths on the upper level, including the master bedroom with its private 5-piece bath and dual walk-in closets. Laundry room is also on the upper level. The large walkout basement is unfinished and opens to a fenced back yard. Amenities are plentiful nearby, and the Meridian community has a shared community pool and clubhouse. Offered by Anton Hospitality Brokers Inc.
Association Name Primary Badger Gulch Homeowners Association Ii Inc.